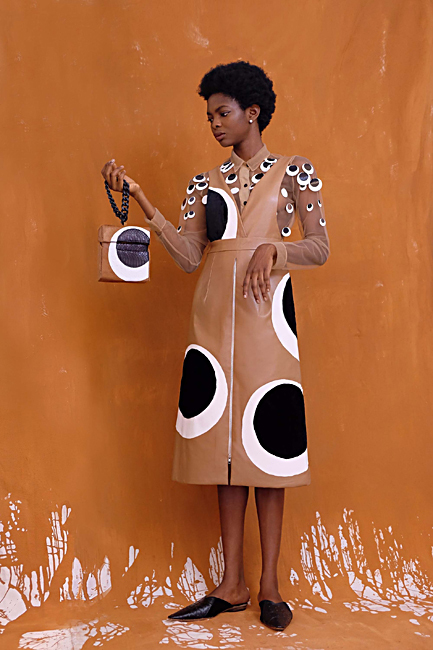 After a long hiatus, I wrote a little something on the Nigerian designer Maki Oh. The piece appeared on IAM Magazine. 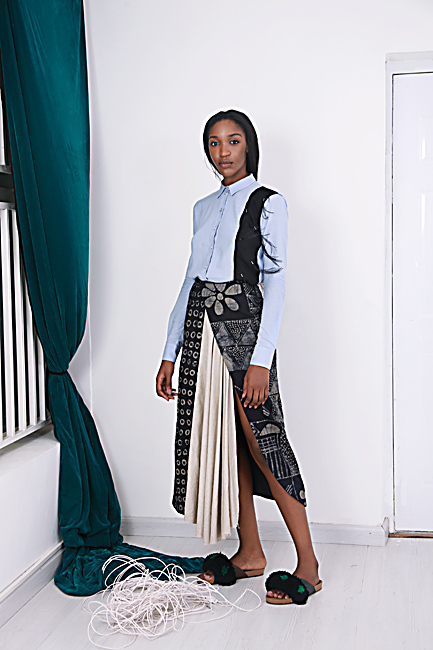 Maki Oh is the Nigerian womenswear label run by Amaka Osakwe. A fixed presence on global runways since her debut in 2010, Osakwe appeared at New York Fashion Week in 2012 and has since been invited to the White House and enjoyed worldwide success. With a population surpassing 170 million, immense cultural diversity and a strong economy, Nigeria is Africa’s second fashion hub. For some years, the star of the red carpet has been the LVMH Prize finalist Amaka Osakwe. Osakwe has run the womenswear label Maki Oh since 2010, when she launched it in Lagos after graduating from Bornemouth Arts University. After catching the international limelight at New York Fashion Week in 2012, Maki Oh has since been seen worn by the likes of Alek Wek, Lupita Nyong’O and Amandla Stenberg and has received an invitation to the White House by Michelle Obama, previous First Lady of the USA. 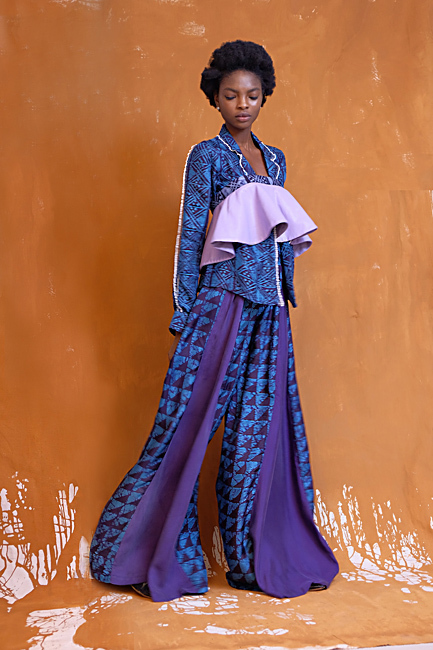 Some call Maki Oh “power-dressing,” recalling Osakwe’s adolescence under the influence of a creative mother who embodied the Nigerian attitude of excellence and competitiveness. There is definitely an element of bold self-assuredness in the designer’s goal to put her home country at the center of the fashion map. Maki Oh’s textiles are all organically dyed and Osakwe keenly underlines that they are authentically West African – every step of the production chain happens in Nigeria to promote sustainability and preserve local traditions. This philosophy inspires the AW2015 and SS2017 collections, which feature hand-dyed textiles like aso-oke, oja, adire, akwa ocha and condemn cultural appropriation, openly rejecting the assumption that Ankara (Dutch Wax) is the true symbol of West African fashion (which is indeed only sold, but not produced, in West Africa). This goal to make Nigeria a hub of high-quality production is also a way to discard the stereotype of exoticism, promoting diverse, local production as a global asset. Osakwe believes in authenticity as a bridge connecting cultures and worldviews. 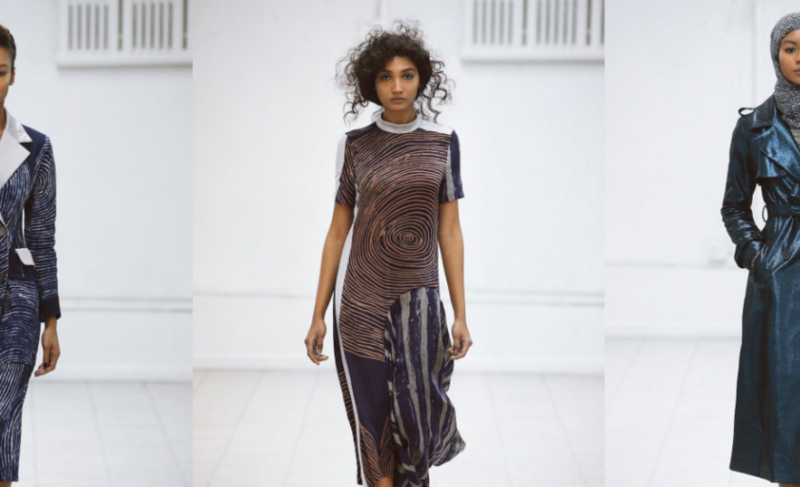 Again, the AW2015 designs engage with this search for syncretism, focusing on the myth of Mami Wata that originated from the picture of a Samoan snake charmer that appeared on Nigerian shores in the 1880s. The designs are a journey through the many nuances of being and performing Nigerianness and, like any narrative suspicious of idealisation, they do not weave a linear story. To the contrary, Nigeria cannot but look and feel complex, layered, and enticing to the often-ignorant eye of the global consumer. So, each season, Osakwe focuses on the elements that she perceives to be critical to her personal understanding of Nigerianness and puts them on the market, accompanied by descriptive blurbs that add an additional aesthetic layer to her outlook on female beauty. Together, the play of fabric, words, embellishments, pigment and poise creates a tapestry in motion of the cypher that Osakwe calls ‘black womanism’. This is auteur fashion that makes one think and see with different eyes and, as such, is both fascinating and a bit unsettling. Every collection exemplifies a sensual engagement with the pleasures of the adorned African body. For example, the AW2016 collection uses embellishments, frills, ruffles, pearls, and ribbons that incorporate the voluminous shape of the African blouse traditionally worn with wrappers to spotlight hyper-femininity. The designs ask whether it is desirable to be hyper-feminine in everyday life or whether socio-cultural expectations of black “magic” and royalty “limit” female self-expression. The repetitive motif of the eye conveys the act of looking out and looking within oneself in search of the means to manage belief and identity, while the appliqued camouflage symbolises black female resistance to one-dimensionality. Interestingly, Osake associates this celebration of personal conflict as a weapon of self-possession to the Nigerian expression ‘ehn’ that carries different meanings, ranging from the assertive “yes” to “do you understand me?” and “is this how it is going to be”. 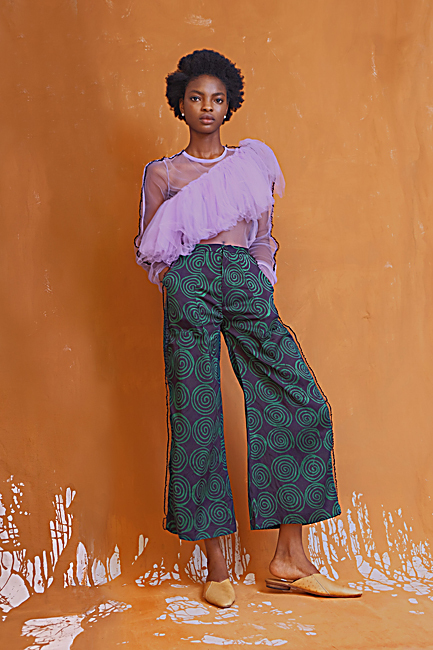 Using fashion to carry on the conversation with different means roots the designs in the transitory dimension of the everyday, an everyday that can only be and feel Nigerian while resonating with the questions women ask everywhere everyday. This authenticity translates in a style that appeals to the black diaspora worldwide, benefiting from a constant exchange with influences and trends coming from outside of Africa. Maki Oh conveys the idea of the continent as a global cultural hub by mixing Western silhouettes with African traditional fabrics and motifs. But what makes it really engaging is the level of cultural research and intellectual engagement that goes into the design process and which makes it a sensible element of Africa’s current debate on the future of the continent.